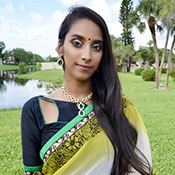 Sameeksha Rani Adesh is a student at the University of South Florida in Tampa pursuing Medicine. She enjoys dancing, singing, and playing various instruments with my family’s music school in Orlando. Her goal is to become a Pediatric Cardiologist. Punit Borad is currently majoring in Biomedical Sciences at the University of South Florida and is a research assistant at USF College of Pharmacy. In his free time, he plays cricket as part of Keypixel’s SPL cricket league at USF. He also enjoys traveling to different places and seeing different cultures. 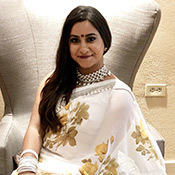 SriGita Krishna Madiraju, was an accelerated BA/MD scholar and is now a fourth year medical student at Florida Atlantic University pursuing surgery. She also enjoys doing clinical research in the fields of urology, transplant, trauma and electro physiology all over the southeast United States with over 50 publications. She was born in Andhra Pradesh and is a proud Telugu girl. She has an older sister who is also a physician. Gita enjoys going to temple, painting, drawing, writing poetry and dancing. 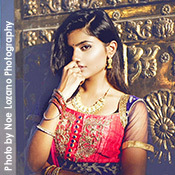 She learnt Bharatanatyam since age 4 and did her arangetram, but also loves hip hop and Bollywood. Gita also loves playing water polo she went to the Junior Olympics and played for her college team. Ruth Nuño is from a small town in Nebraska and has been living in sunny Florida a little over seven years now. She is a recent graduate from the University of South Florida and is working as a content writer for a digital agency. She enjoys traveling to tropical places, spending time with family, and exercising whenever she has the time. 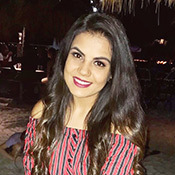 Born and raised in Orlando, Florida Mahadeo is currently pursuing studies to become a cardiologist. She’s looking into attending the University of Central Florida in the near future. Her hobbies include dancing, her favorite styles are bollywood fusion and raas-garba as well as has a passion to play harmonium and sing. Mahadeo is an advocate for mental health and is currently working on projects to help raise awareness in the South Asian/Desi community. Mahadeos motto is “Dream it. Believe it. Achieve it. “Because anything is possible once you put you have a positive mindset and have the drive to follow through with it. 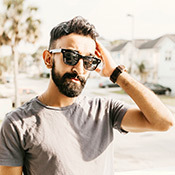 Anup Patel is a health sciences graduate at UCF who is aiming to become Physician Assistant as well as an entrepreneur. 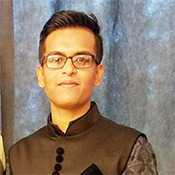 He was born in Anand, Gujarat and moved to America before his senior year of high school. In his spare time, he enjoys dancing, singing, playing guitar and producing music. He has a younger brother and lives in Orlando. 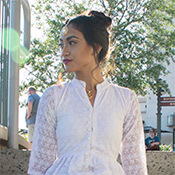 Nirja Patel is a fourth year Biology major student, with a Pre-Professional concentration, and a minor in Business. She is currently President of the Pre Dental Society and aspires to attend dental school in the near future. 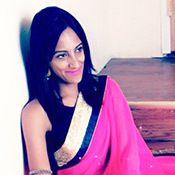 She feels blessed to be raised in an Indian community in which individuals strive to achieve their full potential. As such, she believes my responsibility to help create a change in this world, one bright smile at a time. Ashley is a University of Florida Alumna currently residing in Tampa, FL. Her passions include health education and breeding American Bullies. 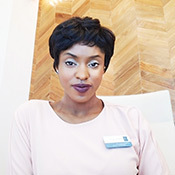 She hopes to one day own her own real estate company and wellness clinic. 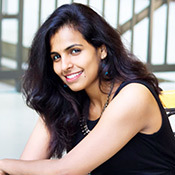 Neeraja Pathri was once an artist now Software Engineer. She earned a masters in computer Science coding is her day job. She is trained in classical music and singing is her first love. She is always ready to break a leg dancing, skilled in painting, enjoys cooking as well as eating, and most importantly is super passionate about being in the crowd cheering and entertaining as a host and Emcee at shows in her spare time. She has a good eye for fashion and a great hunger for anything creative and related to ART. Her dream and hope is to see herself on the BIG screen one day. 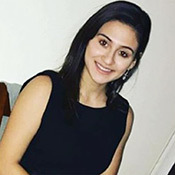 Anika Raval is a recent graduate from University of Central Florida, born in London, England and moved to Orlando, Florida 15 years ago. Anika is a certified makeup artist, who has worked with broadway theatrical makeup in New York, and is owner of Ani Raval MUA. In her free time she travels all over the world, cooks, and spends time with her family and dogs. Kalgi Shah, 23, was born in Ahmedabad, India and raised in Tampa, FL. She is currently going to school to become a Radiation Therapist and is doing a clinical rotation at Moffitt Cancer Center. She loves helping patients with their tough journey of fighting against cancer. She enjoys going on jogs with her puppy, trying out new restaurants, hanging out with friends, dancing, and watching the sunset by the ocean. She believes there is always a reason to smile and it is surprising how you can brighten someone’s day with a smile! Mom to a gorgeous eight year old son, she works as a security service agent for a company in London, and is a fashion designer. Her day begins at 4 am and is packed with activities until 10 am, when she ends with 20 minutes of Yoga and meditation. She loves to travel and try different authentic foods. In her spare time, she enjoys baking, listening to music, dancing, and spending time at the rphanage. Her goal in this life is to give love, respect humanity and live life with no regrets.